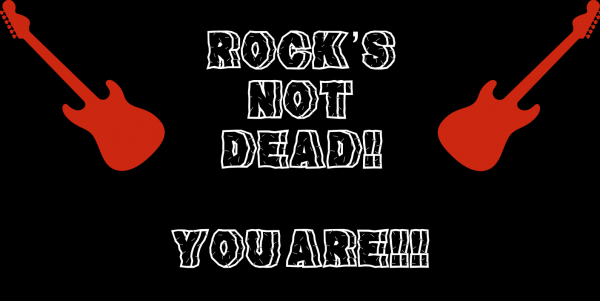 ROCK’S NOT DEAD – YOU ARE!!! OCTOBER ROCKED!!! I think I am almost giving up totally on reviews of new music altogether. After all, one can just simply listen to the music, what’s the point of detailed description of the music? Seriously! Author Kevin MathewsPosted on October 26, 2018 Categories MUSICTags Ace Frehley, Blackberry Smoke, Blues-rock, Coheed & Cambria, Elle King, Greta Van Fleet, Haken, Hard rock, Heavy metal, Kings of Spade, October 2018, Rock 'n' Roll, Rock's Not Dead You Are, Uncle Acid & the DeadbeatsLeave a comment on ROCK’S NOT DEAD – YOU ARE!!! OCTOBER ROCKED!!! 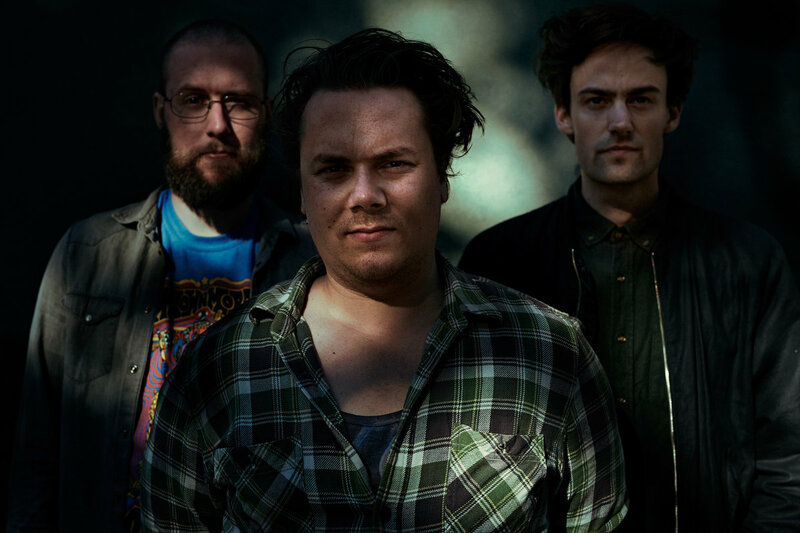 Blues-rock still resonates, as Norway’s Captain Kill demonstrates on this visceral EP. 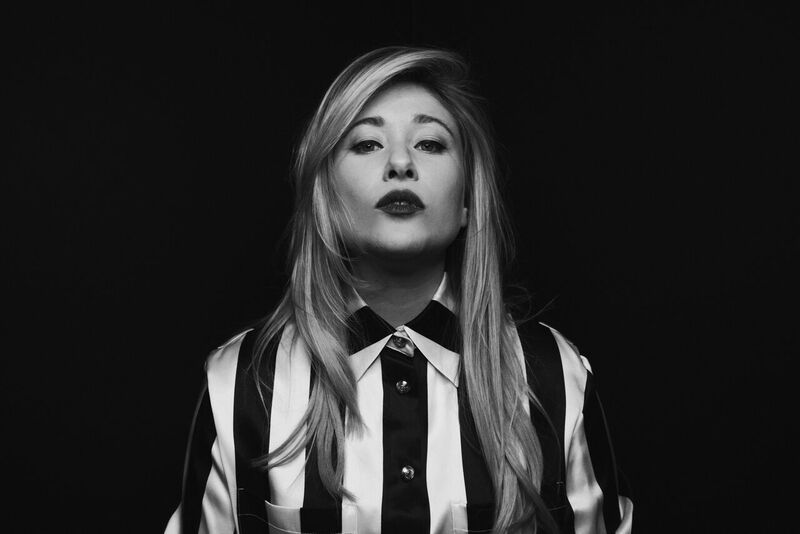 We featured rock ‘n’ roll singer-songwriter Anna Rose five years ago in a PoPTV feature and here she is again with a feisty new single and music video. 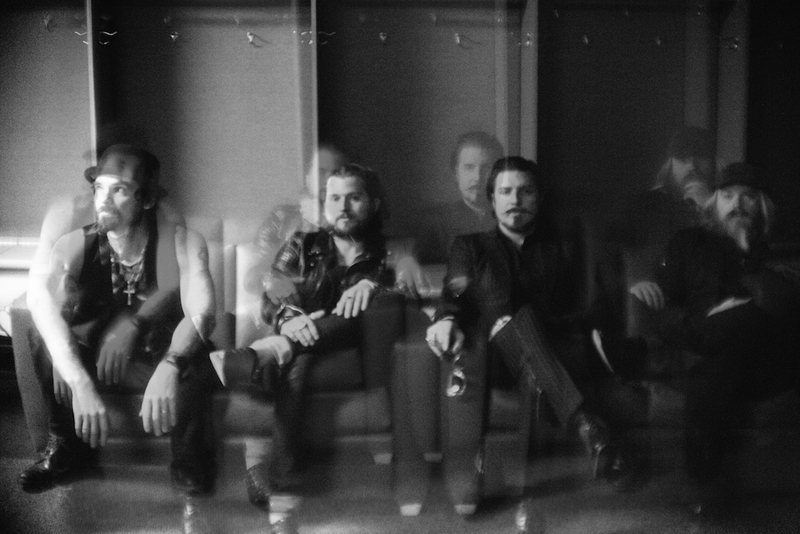 Based in sunny Los Angeles, California, Rival Sons formed in 2008, the quartet of Scott Holiday (guitar), Robin Everhart (bass), Mike Miley (drums), and Jay Buchanan (vocals) captures that massively huge, guitar-driven classic rock sound, with rock-solid drumming and a riff-oriented approach to songwriting backing up Buchanan’s soaring vocals. 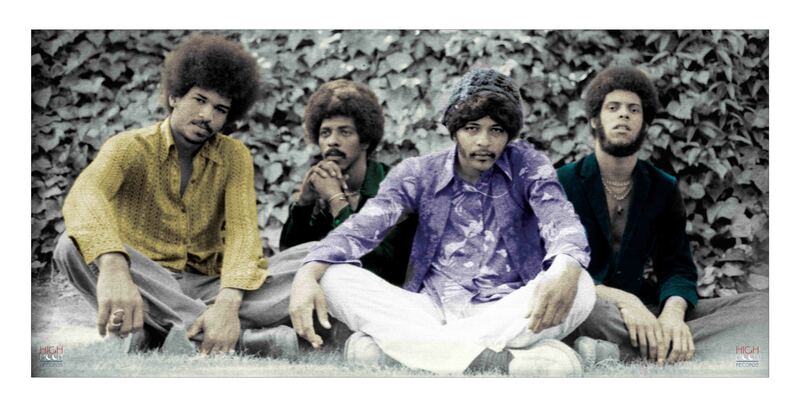 The late Arthur Lee and Love (the band Lee led & fronted) remains one of the most under-rated bands from the 60s/70s. Well, at least compared to their peers. Already well-documented is the fact that the likes of Jim Morrison (The Doors), Jimi Hendrix and Robert Plant (Led Zeppelin) were massive fans of this ground-breaking iconoclastic band. Certainly, the backward gazing bands of the 90s British indie scene owed a thing or two to Love. One of the most freewheeling eclectic 60s bands, Love (which also included guitarist-songwriter Bryan Maclean, lead guitarist Johnny Echols, bassist Ken Forssi & drummer Michael Stuart) were never constrained by genres or styles and dabbled in folk, baroque pop, psychedelia, acid rock and even proto-punk (check out “7 and 7 Is” is below). Not only that but the band can lay claim to producing one of the bona fide rock masterpieces of all time – the magnificent Love Changes. However, due to drug problems and internal disagreements, the band’s commercial success dissipated in the late 60s, with Lee fronting a new set of musicians, but this incarnation of Love never garnered the widespread acceptance or acclaim of the original group. Reel to Real was Love’s final official album and until now, has never been issued on CD! By the recording and release of this album, Love was essentially Lee with an assortment of session musicians but despite its marginalisation in rock history, deserves serious re-examination. Not least for its daring coverage of a multitude of styles, despite its primary focus being on soul, R&B and blues-rock, one could imagine the young Prince, Lenny Kravitz or Terence Trent D’Arby listening to Reel to Real and copping one or two musical ideas. Whilst modern pop fans would probably find themselves grooving to soulful gems like “Time is Like a River” and “Stop the Music”, alternative rockers might take a shine to off-beat numbers like “Singing Cowboy” and “You Said You Would”, which sound like Hendrix channeling Buck Owens! And that last song – “Everybody’s Gotta Live” – is the Lennonesque anthem Noel Gallagher wished he was smart enough to rip off! The new reissue has rather illuminating outtakes which on occasion outshine the original tracks with their spontaneity and raw energy. There’s also a sloppy studio rehearsal of that classic Forever Changes outtake “Wonder People” for all your Love completists out there. A hidden treasure re-discovered. Essential! ROCK ‘N’ ROLL – CRISIS? WHAT CRISIS? 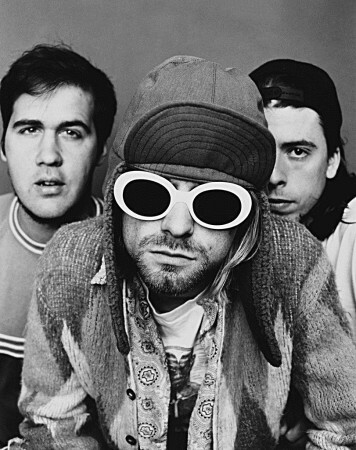 Will we ever see a band like Nirvana again? It’s hard to believe that the Nevermind album – which changed the face of the music industry in the early 90s – is now 24 years old! And since the decline of rock ‘n’ roll music in the late 90s, no other rock band has come remotely close to replicating the impact of Nirvana. Yes, we have had successful rock bands since viz. Nickelback, The Strokes, The Killers, Arctic Monkeys, Coldplay et al BUT relatively speaking, these have been minor successes when compared to the seismic pop culture impact of Lady Gaga, Katy Perry, Beyonce and the like. Artistically as well, most of these aforementioned bands have failed to deliver. Curiously enough, the last time critics declared the demise of rock ‘n’ roll was in the late 80s, when Michael Jackson, Mariah Carey and Whitney Houston ruled the roost, but as the wheel turned rock bands like R.E.M., Nirvana and the Seattle grunge scene ascended to the top of the charts. Well, it’s almost 25 years now and there appears to be no sign of rock ‘n’ roll ever returning to those levels of influence in the mainstream pop industry. Still, that does not mean that good rock ‘n’ roll music (whether in the guise of pop-rock, indie pop, hard rock, electro-pop, blues rock, garage or punk) wasn’t being made in the last 15 odd years, it’s just that the environment of the music industry has been altered so drastically that it is virtually impossible for what happened in the early 90s to occur once again. The decline in record sales, the rise of singing contests (American Idol, X-Factor etc) and the ubiquity of Youtube, has meant that the major labels have had to hedge their bets and cynically control the musical output and fan appreciation thereof. This has resulted in the most basic pop formulas viz. hip-hop/R&B accounting for the lion’s share of the chart action. These are 3 of the top 5 singles on Billboard’s Hot 100 right now. The one main thing connecting all three singles is a highly designed discipline to present the melody/rhythms as simplistically and repetitively as possible so that the hooks are very easy to remember. A deliberate lack of musical sophistication that dumbs down to the lowest common denominator creating an audience that is not able to appreciate anything that does not sound like what it hears on a non-stop basis on the radio. The perfect marketing tactic. In fact, guitar rock is totally absent for the Top 20, with the nearest example being Maroon 5, and even though the music video for “Sugar” shows the band with guitars, it does not sound like there are any guitars on the song itself! In fact, it adheres greatly to the hip-hop/R&B formula with Adam Levine’s vocals heavily auto-tuned. Talk about soul-less! Going down the rest of the chart will depress any fan of rock ‘n’ roll with the genre’s utter lack of representation. So, are the rumours true? Is rock ‘n’ roll dead? Well, not at the grass roots level of course, as both in the USA and the UK, there continues to be scores of bands who create great rock ‘n’ roll music, it’s just that even with the oft assumed ability of the internet to connect bands and fans, it’s the major labels leveraging on radio stations, streaming services and Youtube (again!) who will have the attention of mainstream music fans. There’s the rub. If the major labels feel that the new rock ‘n’ roll have the fan base to make them sit up and notice, then they might feel the need to throw money that way. The question is — will the youth of today ever get tired of the formulaic pop stars being paraded before them? Will they ever hunger for something different enough to alter their listening habits? The signs have not been encouraging. The irony is that whilst the internet is always being trumpeted as the champion of free and alternative choices, the harsh reality is that the internet is still ultimately the tool of our corporate masters to dictate what food we should eat, what clothes we should wear and of course, what music we should listen to. However, for those of us who are able to think critically for ourselves, the internet provides a means of escaping these corporate shackles and we can only do this by supporting the bands that do not conform to the grand masterplan of our overlords. 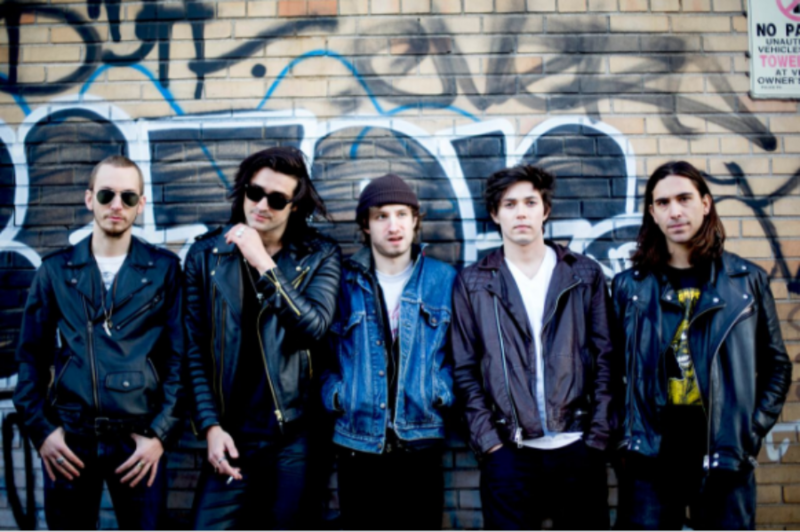 Then, these bands might have the opportunity and liberty to create the kind of music we desire and love. So, is rock ‘n’ roll in a crisis? Not if rock ‘n’ roll fans continue to support the right bands and be evangelistic about the music they love. In the meantime, check out the Power of Pop playlist at Spotify highlighting 30-odd British guitar rock bands you should be supporting! Please FOLLOW! Author Kevin MathewsPosted on July 26, 2015 Categories MUSICTags Blues-rock, Electro-pop, Garage, Guitar Rock, Hard rock, Indie-pop, Nirvana, Opinions, Playlist, Pop-rock, Power pop, Punk, Rock 'n' Roll, Spotify, Tastemaker, The New BritLeave a comment on ROCK ‘N’ ROLL – CRISIS? WHAT CRISIS? 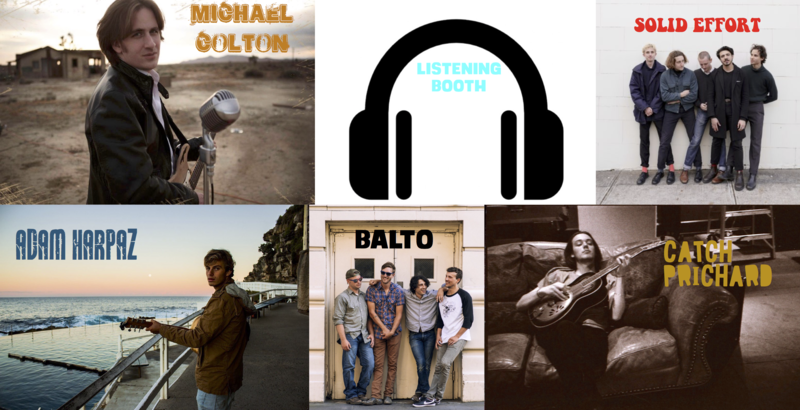 Certainly, tracks like “Trouble” and “All Around” will appeal to the punters who love trawling blues-rock pubs with the songs’ authentic roots demeanor. One to consider. Check it out at Bandcamp. Best known for being the guitarist in Southern rockers The Black Crowes, Rich Robinson has truly come into his own on this excellent album of high quality country-folk-blues-rock! It’s probably a cliche to say this but one cannot but be impressed by the honesty and authentic passion expressed on this 12-track album. There’s so much genuine affection for the source material that The Ceaseless Spirit is a brilliant distillation of the late 60s attitude towards organic rock ‘n’ roll as represented by the likes of The Rolling Stones, The Band, The Byrds and The Flying Burrito Brothers. From the moment that the familiar descending chord pattern emerges with the opening “I Know You”, 60s rock buffs have no doubt that they are in for a thrilling ride. Each subsequent track maintains this feel brilliantly with Robinson’s vocals standing up very well. The Ceaseless Sight is one of those rock albums that challenges the idea that the album as a concept is now meaningless and irrelevant. Old school to the max and loving it! Highly recommended!! 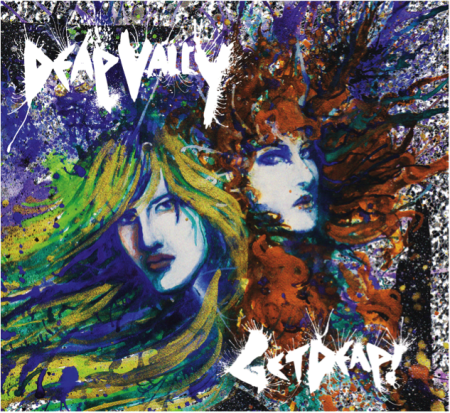 Believe me, it ain’t gonna be Fall Out Boy who’s gonna save rock n’ roll but Deap Vally will certainly have a much better shot at doing just that! Glorious blues-rock filtered through modern precedents like the White Stripes/Black Keys format, this femme duo has been shaking things up and is a band to look out for! 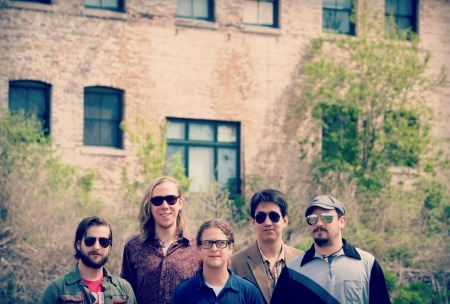 Check out new video for “Lies” below.